That’s according to Chi Chen, a doctoral student in the Department of Earth and Environment at Boston University. Chen has been mining data collected by an orbiting NASA camera that monitors green vegetation on Earth’s surface, day by day. This week, Chen and his colleagues published a new study showing that the amount of our planet’s land surface covered by green leaves increased between 2000 and 2017. One large area of Brazil lost vegetation. “I personally checked the data, and that’s because of drought,” Chen says. Molly Brown, a geographer at the University of Maryland, has seen this greening up close. “These are really good examples of how policy can really make a difference,” she says. This version of greening isn’t really so great for the environment, though. The irrigation drains groundwater, vegetation is wiped away at harvest time and the extra fertilizer farmers use releases greenhouse gases. 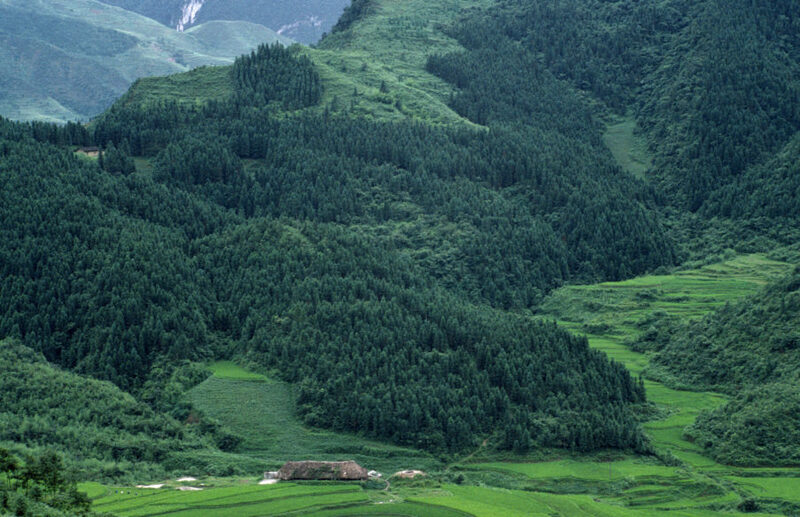 In China, though, about half of the new leaf cover that Chen detected appears to be the result of a massive reforestation effort. It’s a government-sponsored attempt to prevent catastrophic dust storms that resulted from earlier deforestation. Those trees likely will stay in place, capturing dust and also carbon dioxide, the greenhouse gas. They’ll store that carbon in wood and roots and soil, doing their part to slow global warming.